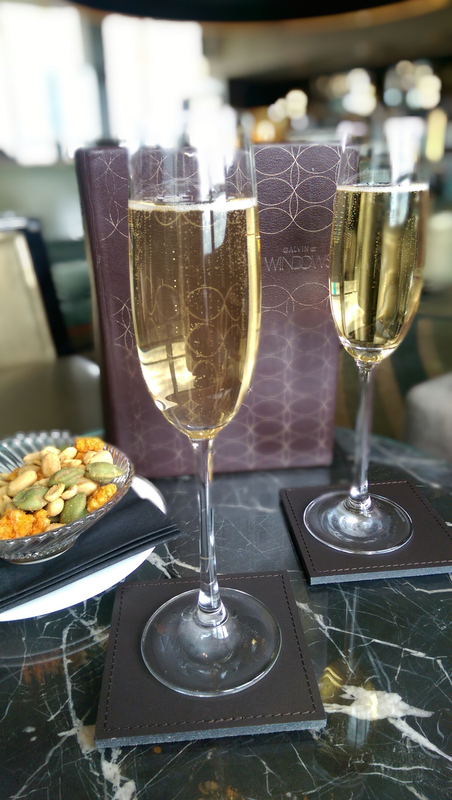 We arrived early for lunch and were warmly welcomed and presented with a glass of champagne, compliments of Fred Sirieix, General Manager of Galvin at Windows. 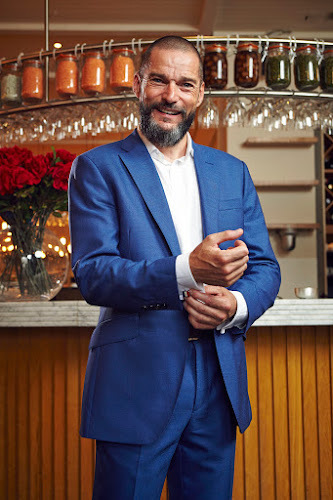 In recent times, Fred has become a bit of a celebrity following his regular TV appearances as the Maître d' on Channel 4's First Dates programme, however those in the business think of Fred as a true ambassador of the service industry. In addition to overseeing the slick service at Galvin at Windows, Fred created The Art of Service, an educational tool geared towards maximising the impact of staff members through a clear understanding of key principles of first class customer service. With over 25 years experience within the hospitality industry and countless awards for exception service within the restaurant sector, Fred Sirieix is the gold standard when it comes to customer service, consulting with international brands helping them to instil a first class service into the DNA of their business. 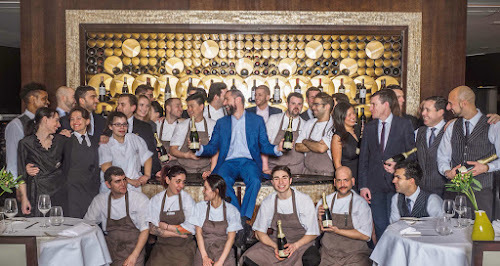 As if this doesn't keep Fred busy, he also co-founded Galvin’s Chance in 2008, a charity initiative to help disadvantaged young people get in education, training and full time employment within front of house in the best hotels, restaurants and bars in London. Fred launched on Christmas Day 2012 National Waiters Day to celebrate all Front of House staff and inspire people in hospitality careers. Fred had meeting most of the day while we were in the restaurant but we did manage to chat with him for a few minutes before lunch, during which Fred agreed to answer 5 Questions for Gerry's Kitchen. It all started by watching my parents organise countless dinner parties at home with their family and friends. We always had people around the house. I guess that started my love of hospitality. Just do it. Be clear about what you want. Have a vision, do not afraid of hard work, make efforts and believe in yourself. Believe in the beauty of rigour and discipline and you will be fine. 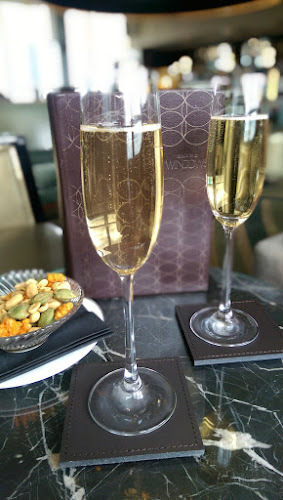 ​Where would you like to see your business (The Art of Service) in 5 years time? I would like it to keep on growing and be as relevant then as it is now. Customer service and satisfaction is the only way to differentiate a brand from another. If you could only be dine at one restaurant in the world, where would it be & why? Le Gavroche. Why? . . . Because it is so good! Socrates. For fun and to learn from the master. Happy to eat and drink what he prefers. Often referred to as 'The Service Guru' or 'The Service Jedi' by his peers, when Fred isn't dealing with the day to day running of Galvin at Windows, he is passing his skills and knowledge on to anyone who wants to learn from the best. The recently launched 'The Good Service Charter' is a framework that helps deliver a first class level of service to any business regardless of size. You can download the Good Service Charter here. Fred's work doesn't stop there as 50% of the profits from each Charter sold will be donated to Fred’s new charity The Right Course, a new charity initiative to teach prisoners how to run restaurants straight in the heart of the prison. I would like to thank Fred for taking time out of his very busy working schedule to answer 5 Questions and wish him well for the future. 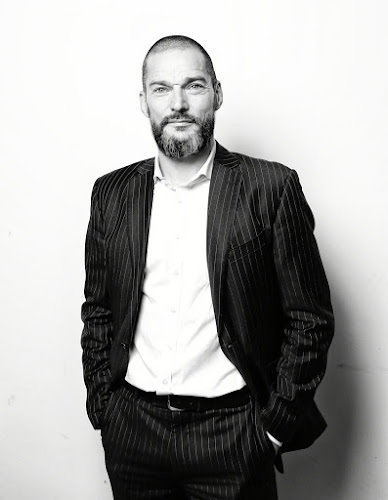 You can keep up to date with Fred Sirieix on Twitter and Instagram.